In 2017, 81 Florida children died due to drowning, and Florida loses more children under the age of five to drowning than any other state in the nation. These deaths were 100 percent preventable. 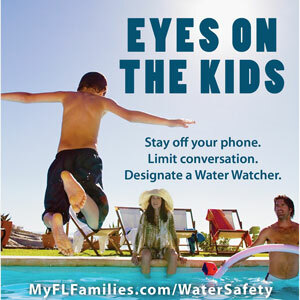 "Eyes on the Kids” encourages parents practice the four water safety rules: supervision, barriers, swimming lessons and emergency preparedness. Free resources are available on the webpage. 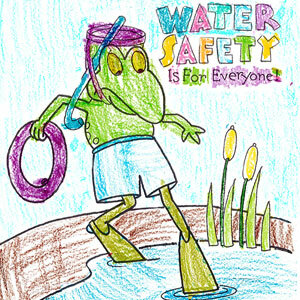 "Water Safety for Kids” brings short water safety presentations into elementary schools, book store story times, child care centers, libraries, summer camps, etc. The presentations can include reading water safety books; a puppet show; coloring sheets; costumed characters; giveaways of small water safety beach balls, tattoos, book marks, stickers, books, etc. ; Olympic and local swimmers serving as speakers; and more! All components and items are free of charge.